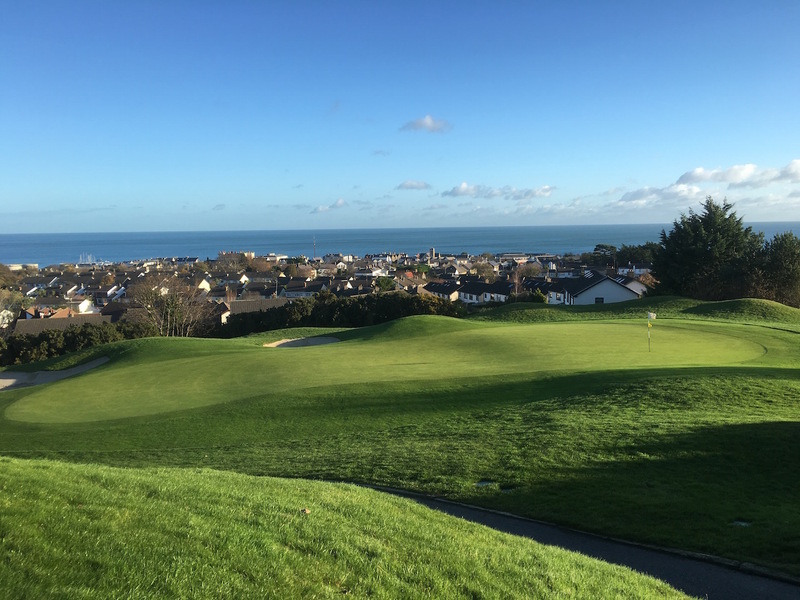 Hooked: Ireland's Golf Courses: How wet is your golf course? 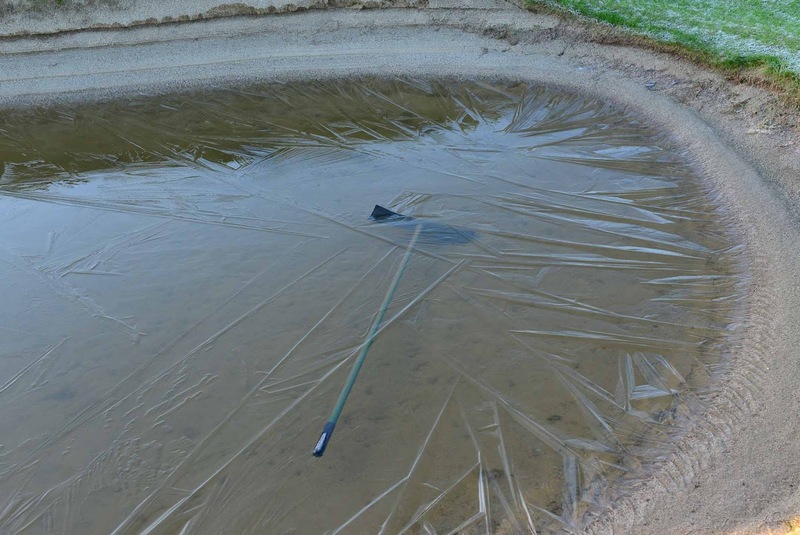 How wet is your golf course? I can only begin to imagine how sodden golf courses are across the west and north of Ireland. The rain has been relentless, and Facebook and Twitter are awash with images of courses under water and flags seemingly stuck in the middle of lakes. 'Course Closed' notices abound. It's depressing stuff. 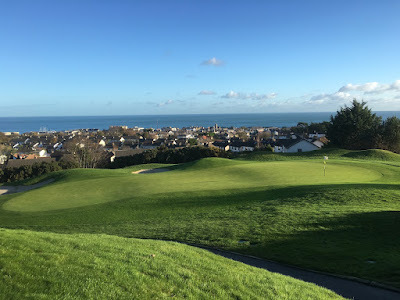 The 5th green at Greystones. Temporary mats are provided and mandated to be used when your ball is on or between the blue lines marked on each of the following holes (3rd, 4th and 13th). Players must lift their ball from on or between the blue lines and place the ball on the mat provided. Failure to use a mat within the designated areas and comply with this local rule will result in a two shot penalty. And then there's the other extreme... the cold. Wherever you are, wherever you play, I hope your course is surviving everything the weather throws at it. * This is Ireland... what are the chances!